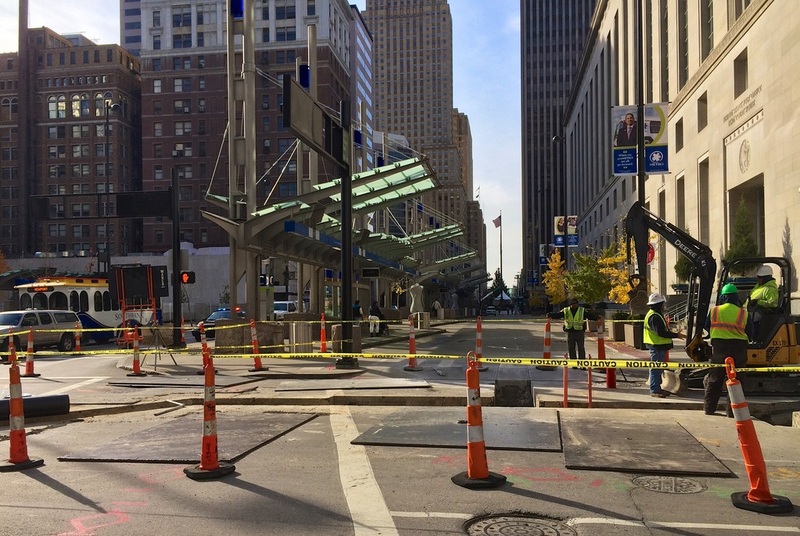 This is a make or break week for the Cincinnati streetcar. The Federal Transit Administration has given the city until Thursday to provide “unequivocal” assurances that the “paused” project will proceed at the agreed upon schedule, or the agency will revoke its $45 million grant to the project. The city’s new mayor, John Cranley, campaigned on a promise to kill the partially-constructed streetcar, then made an offer last week that could salvage the project. Cranley said he will continue construction if private sources will agree to cover the system’s operating costs for 30 years, eliminating any financial liability for the city. If the City of Cincinnati cannot afford any new financial liabilities, then will Mayor Cranley and his administration be requesting operating plans and financing for those new efforts from anything that comes to his desk? He has stated he wants to hire 200 new police officers, but who will shoulder the ongoing financial liability that will place on the City’s operating budget? Cranley has said he does not want to raise taxes, so that leaves only making cuts elsewhere to free up money for such a huge expansion of public safety forces. In addition to the Cincinnati Streetcar, 200 new police officers and Westwood Square, this new heavy-handed approach will also jeopardize the Wasson Way Trail, future phases of Smale Riverfront Park, improvements to the city’s waste collection operations, rebuild of the Western Hills Viaduct, completion of the Ohio River Trail and development of the Eastern Corridor. This new standard will also put at risk what the Cranley Administration seems to hold as the Holy Grail of all local projects – the MLK Interchange. Should we also expect a move by the Cranley Administration to stop all construction activities and spending on the Waldvogel Viaduct that is currently being rebuilt? That project has never submitted a financial report that estimates a 30-year operating cost, much less any private sources to cover those ongoing financial liability costs. UrbanCincy certainly hopes that this is in fact not a new standard protocol at City Hall, because it will put a stop to virtually everything the City does and bring the delivery of public services to a screeching halt. If that is the case, then Mayor Cranley’s olive branch to streetcar supporters is nothing more than a massive double standard. Elsewhere on the Network today: American Dirt marvels at the excess road capacity in Detroit. The Urbanophile highlights a recent study that examined why state legislatures tend not to pass bill that help big cities. And World Streets shares some wisdom from visionary Danish planner Jan Gehl about how to help people envision a different transportation paradigm.